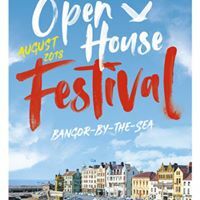 In the Spring of 2018 Open House Festival secured ownership of Bangor Courthouse, a landmark building located on the town’s seafront, and in so doing, secured a permanent arts and entertainment venue in which to continue their programme for years to come. The Courthouse’s previous owner was the Department for Justice, which agreed to transfer the building to Open House as a Community Asset Transfer (CAT), a policy framework under which surplus land or buildings formerly owned by the public sector may be transferred to community ownership. The assets may take the form of disused schools, health centres or police stations, or sometimes just strips of neglected land. Community organisations may express an interest in acquiring the asset, either to provide scope for future development of their existing services or to provide a basis for a brand-new idea, providing they have business justification, community support and the capacity to deliver. In the case of Bangor Courthouse for instance, Open House was required to raise £30,000 for urgent renovations, which they did via a hugely successful crowdfunding campaign. Development Trusts NI (DTNI) is a member-led network of such community development practitioners and is set to host its annual conference in the Duncairn Centre for Arts & Culture on September 19th. The conference theme is Community Ownership: A Movement for Social Change; a concept that drives much of the work of DTNI. For those not au fait with asset-based community development, this promises to be a fascinating look at how communities can realise their social ambitions and create real sustainability through the ownership of physical assets. The CAT policy was approved by the NI Executive in 2014 and, in its current form, offers community development trusts a route to access assets where a case for their sustainable use and social need can be made. Often though, transfers may be more accurately described as ‘Community Asset Purchases.’ Public buildings are routinely sold due to the pressure on public bodies to recoup capital value rather than invest in long-term economic and social returns to the community. In Great Britain, there exists legislation that gives communities priority over the private sector while also assisting them to realise their long-term social vision: in Scotland the 2003 Land Reform Act (updated in 2016) and the 2015 Community Empowerment Act); and in England the 2011 Localism Act. The law in Scotland is of particular note because applications by community bodies to buy, lease, manage or simply use public assets must be granted unless the public body can demonstrate ‘reasonable grounds’ not to. Furthermore, local authorities can exercise discretionary powers to dispose of assets at less than market value. There are perhaps hundreds of redundant assets in the NI public estate. In the absence of an NI asset register the exact figure remains unknown, but what is known is the untapped potential that it represents. Because community ownership works. There are scores of examples, across Scotland and England, of community-run cafés, pubs, sports centres and even islands, that are improving the socio-economic prospects of their respective localities. At its best, community ownership functions as a partnership between citizens and local authorities: it provides a social return on investment, reduces dependency on grants, and consequently improves public sector objectives. Here in NI, notwithstanding the operational challenges of the current CAT policy, we can point to a few successes of our own: the transfer of Bangor Courthouse was the first at nil value since the policy was introduced and has the potential to bring huge cultural and economic returns to Bangor and the surrounding areas; the transfer of Broughshane Police Station to Broughshane & District Community Development Association, which now provides space for commercial lets and will provide social housing for elderly; the acquisition of the former Belfast Metropolitan Parkmore building by Sólás, a charity providing support to children with learning; land transferred to Blackie River Community Association from the NI Housing Executive which has been converted into community gardens and a children’s play area. And fortunately, where money does change hands it is often at a Land & Property Services valuation which can be quite conservative in the current market. More and more communities are becoming alert to the potential of asset-based development, but if they are to play a fuller role in social and economic development alongside public bodies with whom they have a shared purpose, they must be given the appropriate tools. DTNI is campaigning for the introduction of NI Community Rights legislation, like that which exists in Scotland and England, which would give community organisations the right to bid and to buy, and thus underpin the future of asset-based community development. At the conference on September 19th, DTNI intends to expand upon the concept of community ownership so that the term applies to not just physical spaces but to ownership of process and of systems. In other words, the tools to drive social change must also include the right to participate and to challenge planning decisions. Community anchor organisations are key social change actors. Many have been established in response to an identified need in areas where regeneration is most sorely lacking. They are staffed mostly by local people and have a deep understanding of the needs and proclivities of residents of the areas in which they operate. Physical assets provide these organisations with a strong basis for the continuation of their work, but community wealth building is also about keeping wealth local - purchasing goods and services produced locally and becoming less reliant on outside investment. Anchor organisations could be said to “own” services by challenging the way they are delivered and/or entering service delivery partnerships with local authorities. And most importantly, they can take control of decision-making that affects their communities directly. In this way, citizens can truly own the communities in which they live. These issues will be debated at the DTNI Community Expo, Duncairn Centre for Arts & Culture, Wednesday 19th September. To register for the Community Expo ‘18 go to Get Invited for card payments.